So I'm new Just bought my First Mustang 2 weeks ago 99 for 1.5K $. But heres the kicker took 3 weeks to figure out all the Body kits. Front is a Mach on the Side is Roush with dual exhaust on Sides and then the Rear is a Saleen. I'll post Pics I think I got a good deal for 1.5 I already have a amazon list of about 900$ to get it fixed ill do all the work myself, Excited about this car, Already installed a Stereo and new speakers and cut some Tweeter in did find that the stock Amp its come with need to be bypass sounded Horrible till rewired all the speakers straight to the Deck. Awesome Car!!! Welcome to the forum, glad to have you. 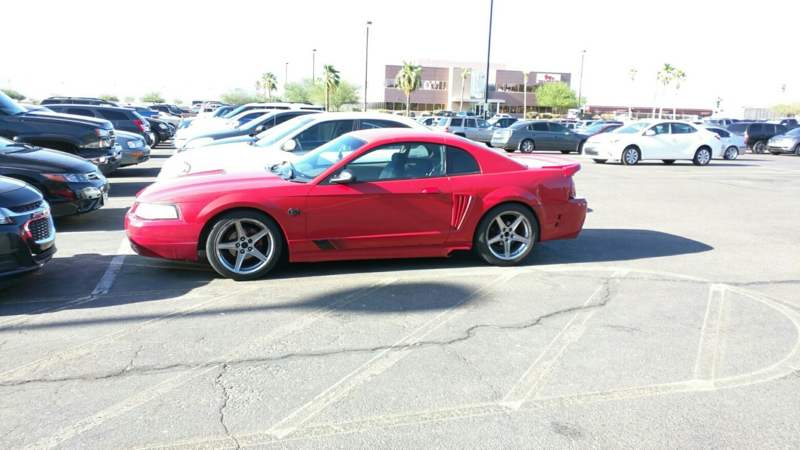 Congrats on your Mustang. You can't pass up a deal like that, and it looks good .